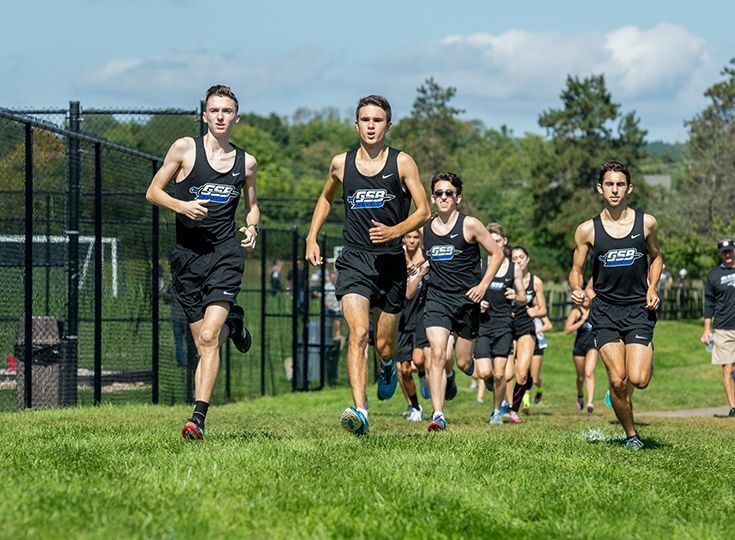 The boys’ and girls’ cross country teams competed at the Skyland Conference Championships on Thursday, October 18. In the divisional races, the boys’ team took fourth in the Mountain Division while the girls grabbed sixth place. Neils Rongen ‘20 led the way on the boys’ side as he took 29th with a time of 18:47. Following closely behind were Matt D’Ovidio ‘19 (38th) and William Strong ‘22 (40th). Rounding out the top-80 were twins Andrew and Brian Young ‘21 who took 78th and 79th respectively. In the girls’ race, Lucie Antonius ’21 had the highest finish of any Knight runner, as she grabbed 16th place with a time of 22:09. Rounding out the other top finishes for Gill were Lilly Fischer ’19 (57th) and Allison Zhao ‘20 (59th). The two teams will be back in action on Wednesday, October 24 at the Prep B Championships.